There is a name that one should never say aloud because it belongs to a man so evil, so vile, that saying his name can make even the best of all people shiver with fear. Of course, you know that name belongs to none other than Lord Voldemort, the most evil of all wizards to have ever lived. The simplest and best way to become “He-Who-Must-Not-Be-Named” is to first become You-Who-Must-Not-Be-Seen. 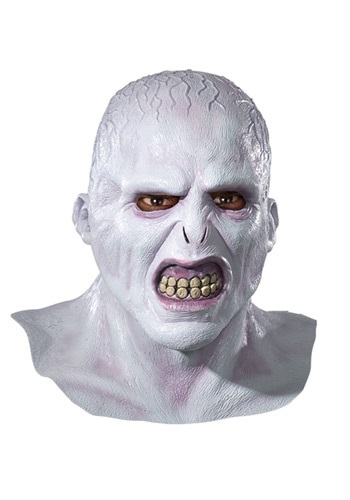 Meaning you should hide your real identity beneath this authentic latex mask that molded to look just like the Dark Lord from the Harry Potter series. Of course, you could also use polyjuice potion--but that would require you getting close enough to Voldemort, himself, to snag a hair off his head, so...yeah...we imagine this is a whole lot easier!